Do you find yourself reluctant to use your patio on especially hot summer days? While it’s quite nice to have an outdoor patio when the weather’s mild, it can be quite a different story when the sun is blazing and the temperature is climbing. 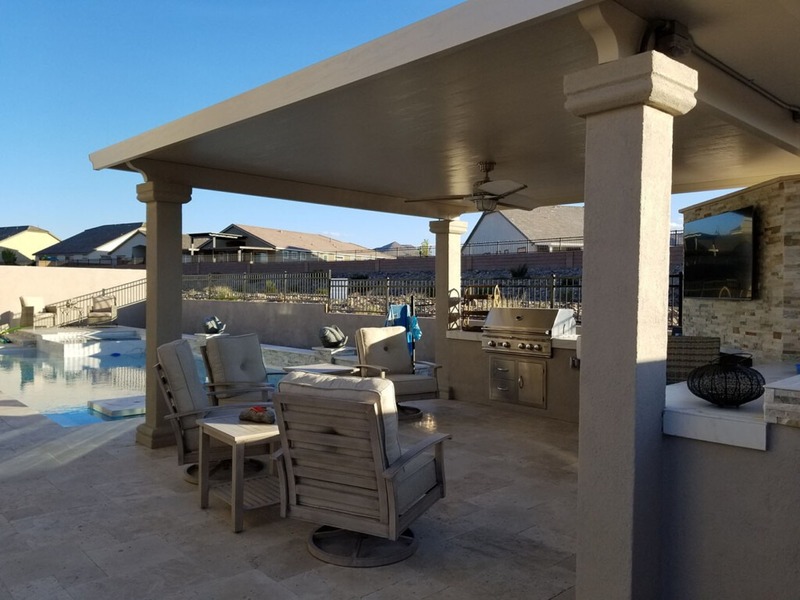 But if you remedy that unpleasant sun exposure with a patio cover from Home Impressions Inc., you’ll be able to enjoy the treat of your patio no matter what the weather is doing! 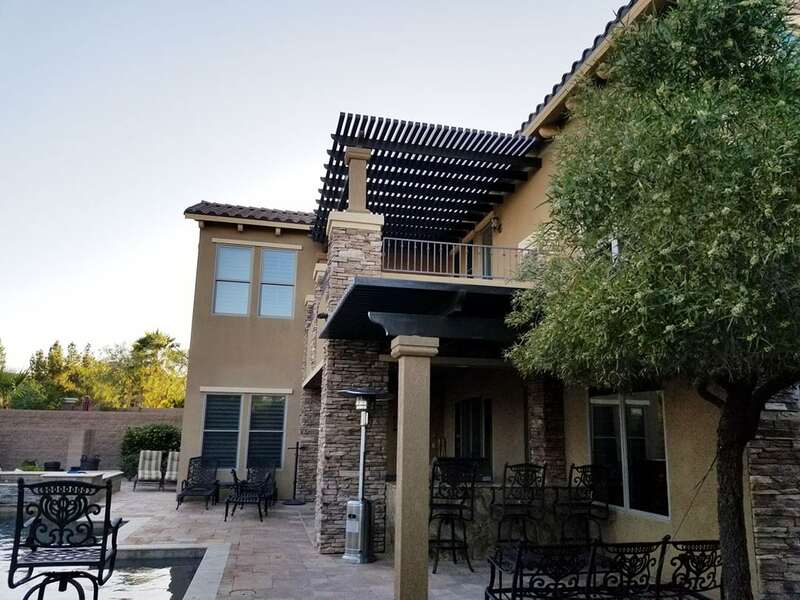 As your go-to resource for fabulous and affordable home accents, we can outfit your backyard with a sturdy patio enclosure that only adds to your home’s function and appeal. Get a free estimate when you call today! 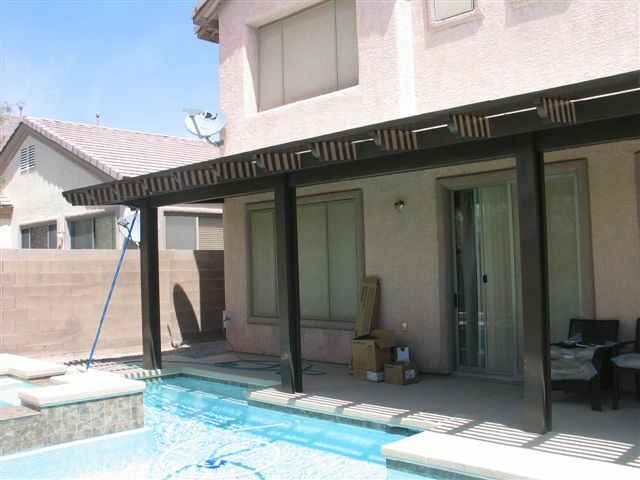 Home Impressions Inc. offers a great selection of outdoor patio covers manufactured by Metals USA. 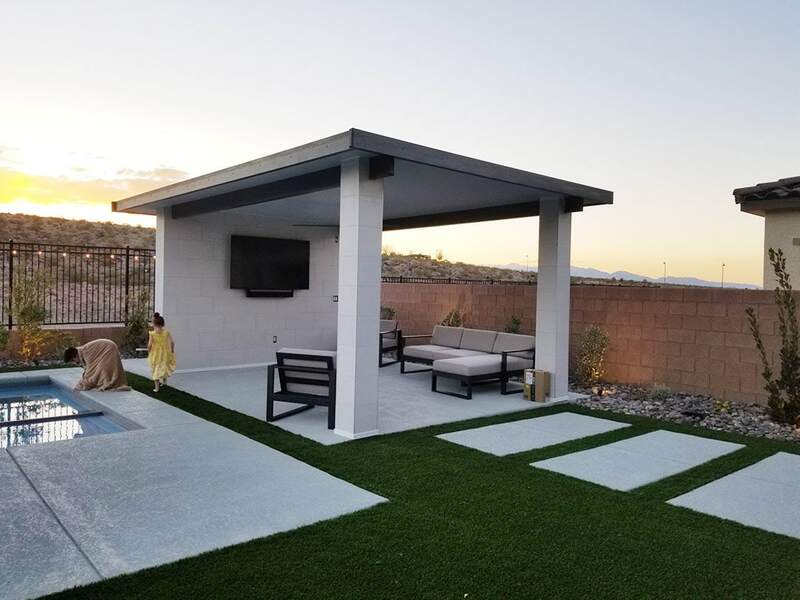 These sleek, durable patio enclosures are insulated with state-of-the-art expanded polystyrene technology, which offers unique protection from the sun’s heat and nature’s elements. It even neutralizes the sound of heavy rainfall, which means you can enjoy a casual conversation even while the rain pours down above you. The sales and installation specialists at Home Impressions Inc. have close to 20 years of direct industry experience. 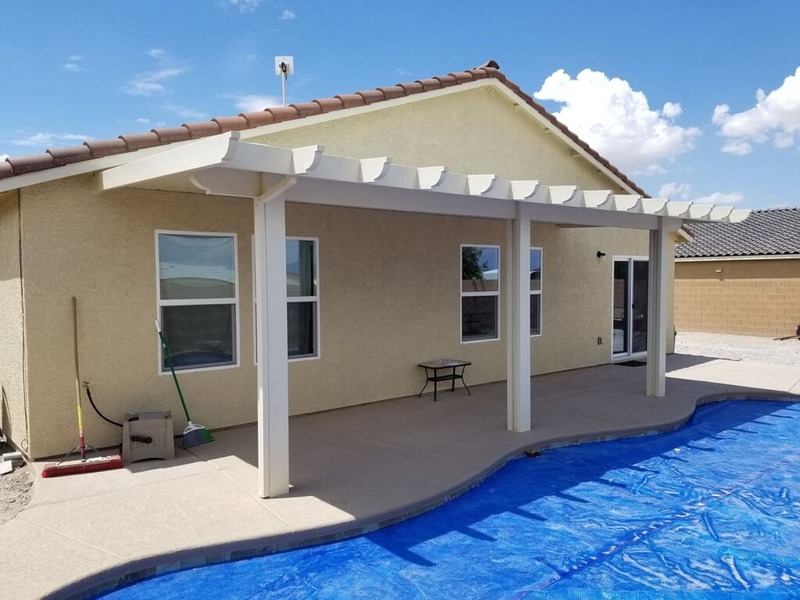 We’ll help you choose the outdoor patio cover that best suits the style of your home, making sure to pick the perfect color, style, and trim. Best of all, we’ll draw on our finely honed skills to install your brand-new patio enclosure with total precision and efficiency. 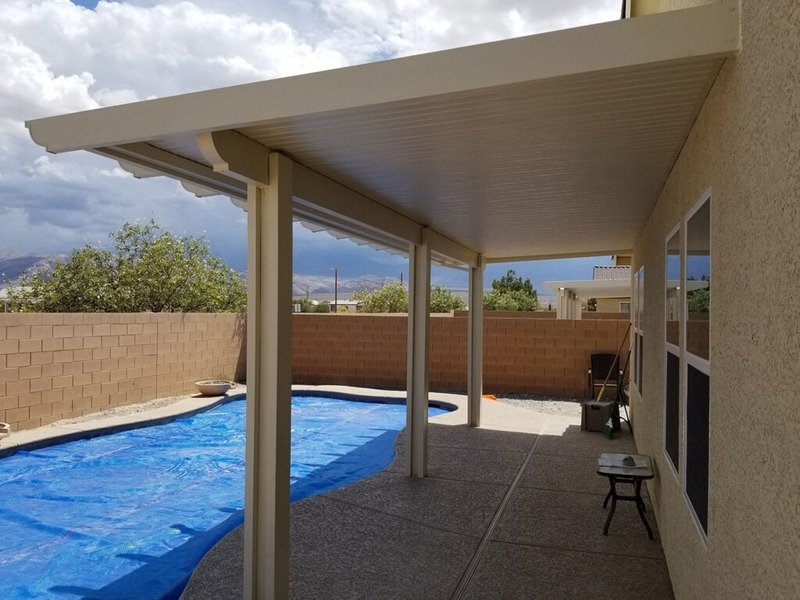 Our number-one goal is customer satisfaction, so we’ll go the extra mile to ensure that your fashionable, aluminum patio cover provides you with maximum performance for a long time to come. 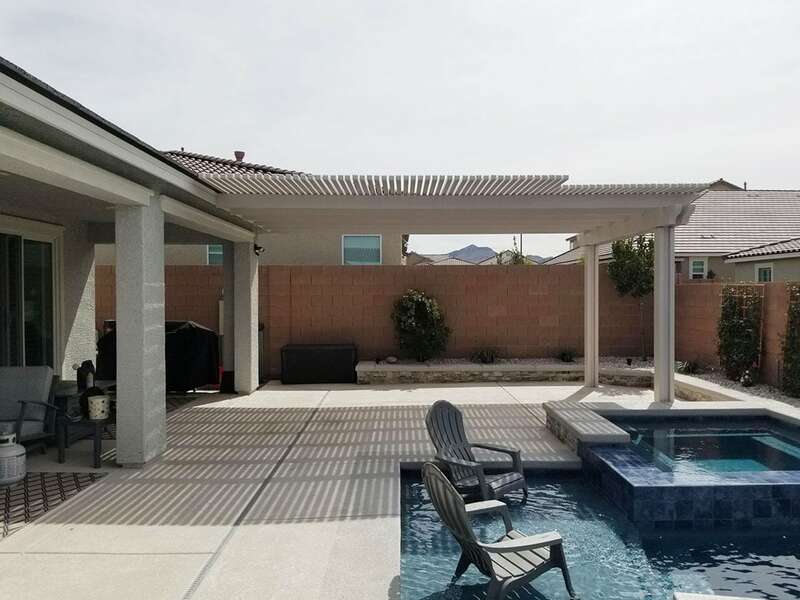 Offering free estimates for all of our customers, Home Impressions Inc. is the name to know in Las Vegas and surrounding areas for exceptionally crafted patio covers and other home accents. 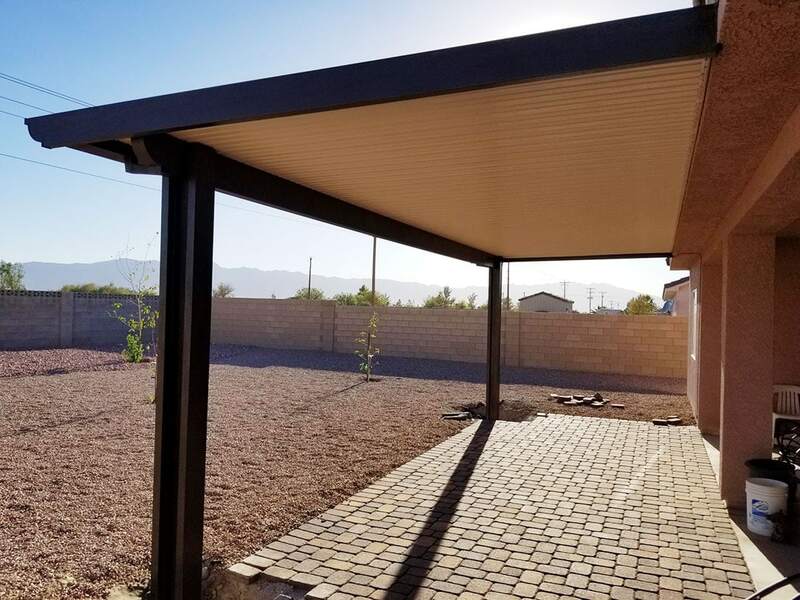 To learn more about what an aluminum patio cover can do for your property, give us a call today! Our patio enclosure specialists are standing by.